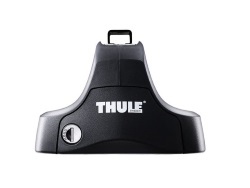 Thule offer a choice of foot packs for vehicles with pre-installed roof rack fix-points, flush roof rails, raised roof rails, guttered roofs and gutterless roofs. More information on each type can be found below.  Use our roof rack selector to find the foot pack you require for your vehicle. 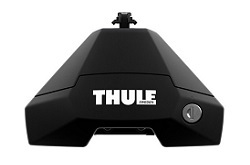 Thule offer the best roof boxes in terms of strength, durability, aerodynamics and modern smart designs. 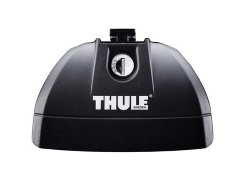 A foot pack for vehicles without roof railings or factory fitted fixation points. A foot pack for vehicles with raised roof railings. 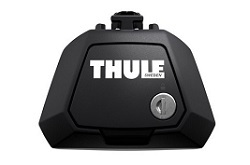 A foot pack for vehicles with pre-installed roof rack fixation points. Low profile foot pack for vehicles with fix points and flush railings. Safe and exclusive roof rack foot pack for cars without roof railings or factory fitted fixation points. The most popular foot pack for vehicles fitted with raised roof rails running along the length of the car roof. 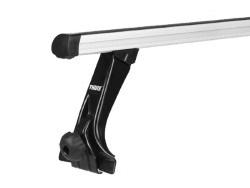 Fits raised roof rails with diameters between 22-55mm. An alternative option to the 757 railing foot pack. 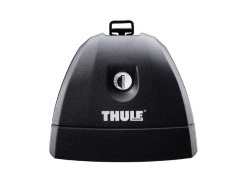 The Thule 775 will fit raised roof rails with diameters between 20-68mm. A foot pack for vehicles with a rain gutter. Three sizes available. 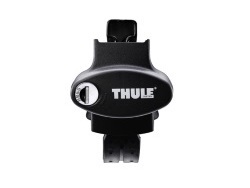 Only compatible with Thule Square Bars. A foot pack for vehicles with a rain gutter. Three sizes available. 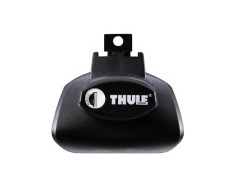 Compatible with all Thule Roof Bars. A foot pack for vehicles with a rain gutters and raised roofs such as vans and minibuses. 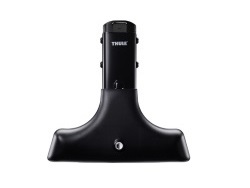 Only compatible with Thule Square Bars. Standard height of 27cm but can be extended up to 79cm with optional adapters.